EASYGLASS is the specifica CAD/CAM software solution for the glass and similar materials working industry by numerically controlled machining centers. EASYCUT is the CAD/CAM software specific for marble, granite and similar materials working industry by numerically controlled BRIDGE SAWS. 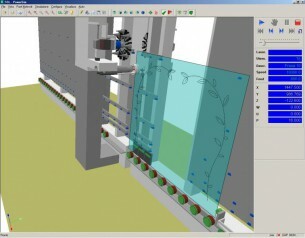 � Direct Interface with CNC. EASYSTONE is the ideal CAD/CAM for marble and similar materials working industry by numerically controlled machining centres. � DXF, IGES, STL and PNT Import.